The Study of South Asia: between Antiquity and Modernity: Parallels and Comparisons. • 8.30-8.35, Camillo Formigatti and Elena Mucciarelli, General Introduction. • 8.35-8.40, Marco Ferrante, Introduction to the Panel. • 8.40-9.20, Paolo Visigalli (University of Cambridge), How can I get a cow just by saying “cow”? an exploration into the power of language in ancient India. • 9.20-10, Enrico Giulia, The Japanese Polyglots of Salvation: Miwa-ryū and its multilinguistic approach. • 10-10.40, Marco Ferrante, Language, Salvation and their Relation: the soteriological goal according to the ancient Indian grammarians. • 11-11.40, Marco Lauri, Three ways to happiness. Arabic language and its paths to salvation. • 11.40-12.20, Priya Darshini Swamy (University of Leiden), One Language is Not Enough: The Use of Sanskrit Among Hindus in Amsterdam. • 12.20-13, Roberta Amato (Archivio di Stato di Venezia), Language as a sign of the times in Timor-Leste. The perception of the Portuguese language as salvation between politics and religious belief. • 14.15-14.20, Paola Cagna, Introduction to the Panel. • 14.20-15, Daniela Bevilacqua, Divine Enterprise, the intime relationship between new Hindu religious organisations, Hindu nationalism and power élites. • 15-15.40, Paola Cagna, The Self-Help groups movement between poverty alleviation and women’s empowerment: a case study from South India. • 16-16.40, Valentina Prosperi, Casual migrant workers in the construction industry in India. Gender dimension. • 16.40-17.20, Simona Lanzoni, Women, empowerment and microcredit. Universalist theories in past, present and research. Or: How autopoietic was primitive communism? • 8.30-8.35, Giovanni Ciotti Introduction to the Panel. • 8.35-9.25, Philomen Probert (University of Oxford), Underlying forms and derivations in ancient Greek theory of prosody. • 9.20-10.15, Maria Piera Candotti (University of Lausanne) and Tiziana Pontillo (University of Cagliari), Linguistic layers and their role in structuring Pāṇini’s grammar. • 10.30-11.20, Christian Pallone, Japanese grammatical traditions. • 11.20-12.10, Stefano Seminara (Pontificio Istituto Biblico â” Rome), Sumerian grammatical traditions. • 12.10-13, Carlo Vessella, Greek grammatical traditions. • 14.15-15, Artemij Keidan, The Syntax of the simple sentence. What happens when representational devices developed by a tradition to describe a language A are employed to describe a language B? • 15-15.30, Introductory speech, Luca Alfieri, A Contribution to the History of the Concept of Root. • 17.15-17.20, Daniele Cuneo, Introduction to the Panel. • 17.20-18.10, Robert Leach (University of Edinburgh), Textual Deference: Philosophy in the Spandapradīpikā. • 18.10-19, Kate Wharton (Research Assistant to the Revd Canon Guy Wilkinson), The Teacher as Mother of Midwife? A Comparison of Brahmanical and Socratic Methods of Education. • 8.30-8.35, Elisa Ganser, Introduction to the Panel. • 8.35-9.25, Ciro Lo Muzio, Written sources versus material record: some views on a thorny issue. • 9.25-10.15, Felix Otter (University of Heidelberg), Vastuvidyā between text and practice: Some considerations. • 10.30-11.20, Anna Tosato (University of Mysore), The Use of Traditional Texts in the Interpretation of Dance Sculptures (Nāṭyaśāstra-s, Śilpaśāstra-s and Vāstusūtra Upaniṣad). Previous Post ♦ What is the *Paramārthanyāyagīti of Saraha? 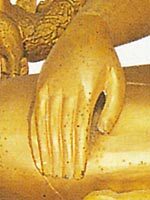 I came across your name and then this site after searching for Buddhist activity in Trieste. I also found a webpage indicating that there had been a rather inetersting event in Trieste about the ‘self’ some time back. Will there be any similiar future events open to the public in the FVG region, or in nearby Slovenia or Croatia? I am a long-term practicing Buddhist, but am also interested in the possibility of academic study. I see that you teach at the University of Trieste. I had no idea that there was such a faculty there. How would I go about finding out more and is it always mandatory to study sanskrit or another ancient Buddhist language when approaching Buddhism and Eastern religous studies? I am particularly interested, on a perosnal level, in the emerging development of pragmatic Buddhism. Are yo uaware of this trend? many thanks for this comment! It is really funny to know that an English Buddhist have decided to live in Trieste… :-). Sorry for the delay in answering you but I was for few days in Croatia, far from computers, e-mails and mobiles. As you probably know, in Trieste there is a tiny Buddhist Sakya monastery (http://www.sakyatrieste.it/) and a Geluk monastery/temple is located in the Valli del Natisone, near Cividale (http://www.cianciubcioling.com/). Unfortunately, to my knowledge no Theravada tradition is represented in our Region. To say the truth, I work at the University of Trieste as “Cultore della Materia” (i.e., Instructor). This means that I do not hold courses on/about Buddhism or Indian Philosophy, rather I sometimes deliver lessons on those subjects within the teachings of Theoretical Philosophy or Philosophy of Religion (in collaboration with Dr. Alessandra Cislaghi and Prof. Aldo Magris) at the Dept. of Scienze della Formazione. I also organize with other colleagues conferences and lectures (the event on the “self” was also organized by me). This year I’ve invited Prof. Francesco Sferra from Naples to speak on the new discovered manuscripts of the late Indian Buddhism (9th-11th century). To your question about Sanskrit etc., I would reply that it is not mandatory to study Buddhism in the original language(s). One can read also the texts in (good!) translation. But of course, if one wants to study and compare the sources, the knowledge of Sanskrit, Tibetan and/or other idioms through which Buddhism spread in the East is fundamental. To this I would add that it is not necessary to be, strictly, a philologist of Sanskrit and/or of Tibetan etc., a more or less good knowledge of those languages and of the general rules of them being sufficient (for the words, rare rules etc., one can always have recourse to dictionaries and grammars). In any case, all depends on the level one wants to reach in Buddhist studies. I do not exactly understand what you mean with pragmatic Buddhism. Could you please say something more on this point (if you prefer, you could also write a mail to the address you find on the “contact” page of this blog)? PS: where exactly you teach meditation? And which kind of meditation?